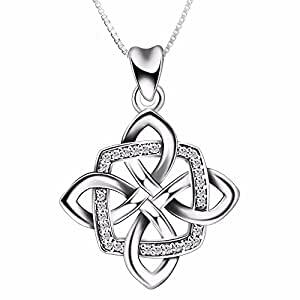 This symbol represents no beginning and no ending – continuity into eternity and beyond.The Celtic knot is said to protect anyone wearing it from evil spirits or danger. Comes in a fine gift box. Ideal gifts for Valentines Day, Mothers Day, Anniversary Day and Birthday to your girlfriend, daughter, wife and mom.